Mrs. Margaret Ann (Lamme) Parrish, of Campbellsville, entered into God’s care on October 23, 2013. She had achieved the age of 86 years and 21 days. Mrs. Parrish was retired, but had worked many years at the Fruit of the Loom factory and as a receptionist for Dr.’s Chambers and Shely. She was of the Christian faith, and was a member of the Woodlawn Christian Church in Campbellsville. Four grandchildren – Kevin L. Wilson and wife Tammy, Deanna Gupton and husband Todd, Chris Parrish and wife Regina, and Leanne Parrish, all of Campbellsville. Seven great grandchildren, one step great grandchild, and four step great-great grandchildren. Funeral services for Mrs. Margaret Ann Parrish will be held at 12:00 EST on Friday, October 25, 2013, at the L.R. Petty Funeral Home and Cremation Service in Campbellsville, with burial to follow at Campbellsville Memorial Gardens. There will be a private viewing Friday morning for her immediate family and close friends. Memorials are suggested to Woodlawn Christian Church and can be made at the funeral home. Mr. Gary Lee Smothers, age 57 of Campbellsville, passed away on Thursday in Campbellsville at the Taylor Regional Hospital. Survivors include his mother: Eva Mae Mattingly Smothers of Lebanon. A son: Lee and Chrissy Smothers of Louisville. Two daughters: Melissa and Skot Huff of Texas and Misty Smothers of Bloomfield. Two brothers: James Terry and Connie Smothers of Cox’s Creek, KY and John and Shirley Smothers of Lebanon. Three sisters: Shirley Baird of Mt. Washington, Shelia and Tim Gill of Lexington and Amy Burnside of Bardstown and a host of other relatives and friends. The family has chosen cremation and memorial services will be private. L.R. Petty Funeral Home and Cremation Service in charge of arrangements. 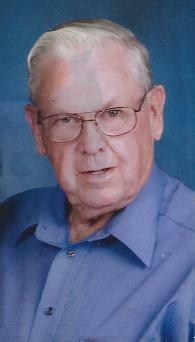 Mr. Roger Dale Antle, Sr, age 62, of Campbellsville, passed away on Saturday in Campbellsville, at his home. Survivors include his father: Roy Antle of Campbellsville. by two sons and spouses: Scott and Julie Antle of Campbellsville and Roger Dale, Jr and Valerie Antle of Bowling Green. 3 sisters: Connie Crowe and her husband Larry, Bonnie Antle and Frances Martin, all of Campbellsville. A brother; Roy Antle, Jr and wife Gayle of Greensburg. 4 grandchildren: Makala Antle and Dakota Antle of Campbellsville and Breanna Bruce of Bowling Green and Kevin Stockton of Hardinsburg and a host of other relatives and friends. The funeral service for Mr. Roger Dale Antle, Sr, will be conducted Monday at 12 noon at the L.R. Petty Funeral Home with burial to follow in the Walls-Antle Cemetery in Green County. Family requests in lieu of flowers, that donations be made to the funeral home for funeral expenses. Mrs. Mary Marie Budd passed away on Wednesday, October 2, 2013 at the Campbellsville Nursing and Rehabilitation Center. She was 93 years old. Mrs. Budd was the daughter of the late Clinton and Ella (Halbert) Payne. When she wasn’t painting and crafting, Mrs. Budd loved to be outside where she could breathe fresh air and watch her hummingbirds. She had united in marriage to Wilfred P. Budd, who preceded her in death. Two grandchildren and two great-grandchildren. One sister – Alice Thompson. Cremation was chosen and memorial services for Mrs. Marie Budd will be private. Mr. Clifton G. “Big Chief” Aaron, age 86, passed away early Wednesday, August 28, 2013 in Campbellsville at his home. Survivors include his wife: Peggy D. Mann Aaron of Campbellsville. A son: Kyle Aaron of Campbellsville. A brother-in-law: Dean Mann and his wife Treva of Russell Springs, KY, a sister-in-law: Carol Wilson and husband Hearl of Brooks, KY.
A very special family friend: Denise Moore of Campbellsville. At 11:00 A.M. at the Liberty Cumberland Presbyterian Church. Visitation after 9:00 A.M. Saturday at the church. L.R. Petty Funeral Home and Cremation Service in Campbellsville in charge of funeral arrangements. Family requests in lieu of flowers, that donations be made to ASPCA or Liberty Cumberland Presbyterian Church, both can be made at the funeral home or at the church on Saturday.